Safe Communities Coalition: Mark Kilroy Foundation Fundraiser for S.A.F.E. Summer 2014! 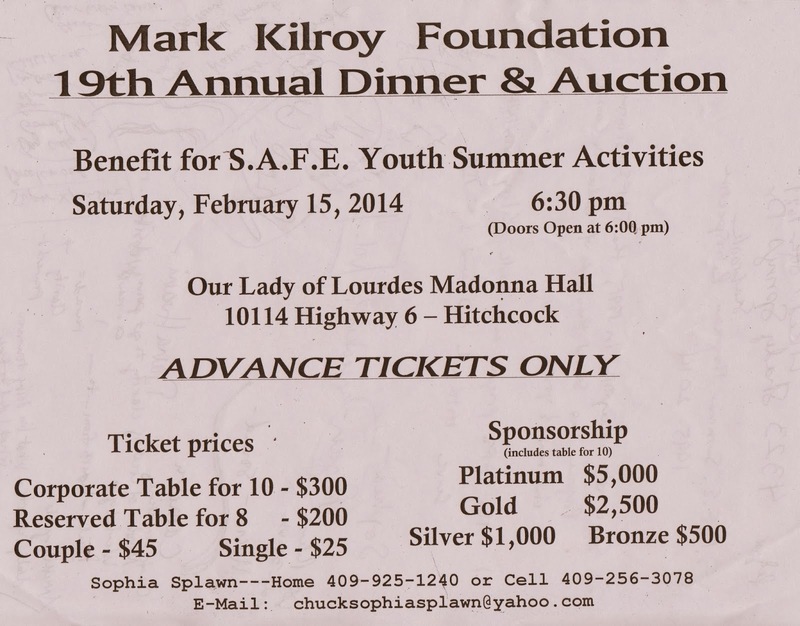 Mark Kilroy Foundation Fundraiser for S.A.F.E. Summer 2014! Get your tickets now and mark your calendars for February 15th! A fun evening of live auctions, dinner, door prizes, and more! We also need donations for our silent auction and live auction. Youth workers needed before and after the fundraiser. They will receive a certificate of hours from the foundation for their volunteer work. Thanks! We can't wait to see you there.